As the holiday music starts filling up offices and coffee shops around the world, we all become a little more festive and jolly this time of year. November has just ended, officially beginning the final month of 2018, and we’re closing this year with steam. Much of this month’s focus came about in the largest country on earth, Russia. For starters, we held the 5th leg of our Blockchain Pioneers Hackathon series in Moscow this month. 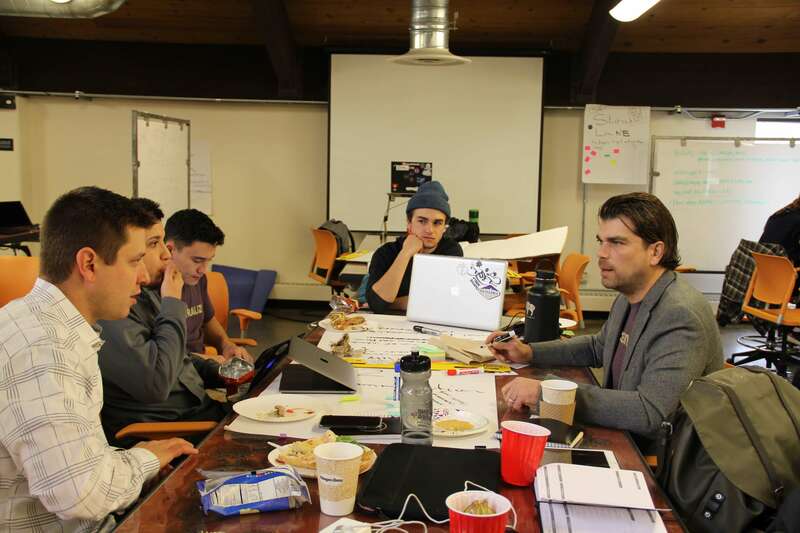 The winning team, New Noah, created a project dedicated to using DCore to identify and trace every animal on earth. This is done in an attempt to make donations and support for endangered species “animal-specific”, and hopefully prevent the extinction of rare species. In addition to the hackathon, we also are working with another Russian company on a blockchain project focused on education. Much more about this new industry solution using DCore will be coming soon. Finally, not so far away from Russia is the Polish city of Krakow, where DECENT was a sponsor for the SteemFest event, held earlier this November. With Poland being a neighbor of Slovakia and so close to our headquarters, we hope that sponsorships like this will lead to a larger influence in the surrounding areas moving forward. November was also a big month for our development team, as we continue to make strides in completing our Q4 goals for this year. Arguably the biggest news of the month, the ALAX migration to DCore and the ALX ERC20 token swap are going extremely smoothly. As of this writing, more than 13 million ALX have already been swapped over to our DCore blockchain, and that number doesn’t include the amount that token holders held on exchanges, so it’s likely to be much higher! If you’re an ALX token holder and you haven’t done so already, please complete the token swap before the deadline of January 29, 2018. If you’re not quite sure how to do it, don’t worry. We’ve created a simple guideline for you. We’re working very hard on ensuring a smooth transition so, in the future, we can help other projects shift to DCore too. This month Matej was interviewed by and broadcast on JOJ TV, one of the biggest Slovak TV networks, reaching more than hundreds of thousands of viewers every day. Matej mentioned how we are impacting major cities all around the world and are expanding our reach to new areas every day. In case you missed the broadcast, we’ve got the footage here (hope you speak Slovak!). 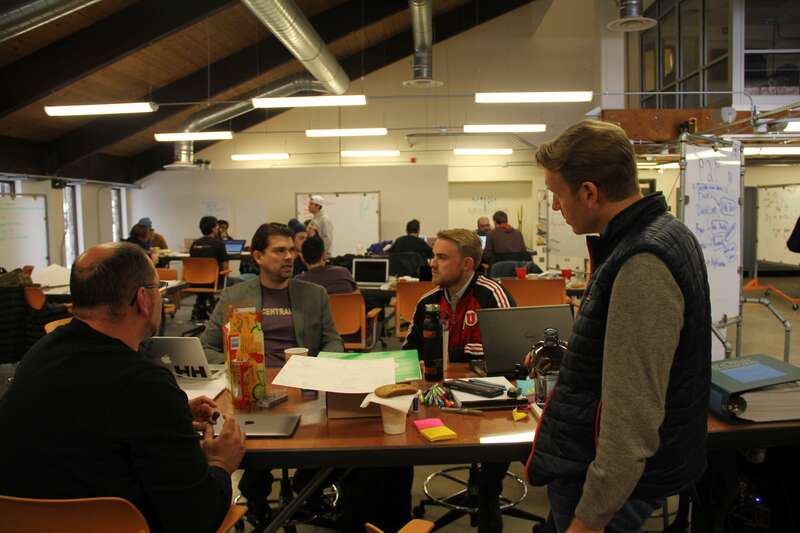 Coming all the way from the USA, we received a video starring our Ambassador, Daniel Riddell, speaking at the Startup Weekend Boulder Decentralize event in Colorado. He gives a general description of the benefits of decentralization and some great insight into our DCore blockchain. For all of you interested, you can watch it here. Last but not least, a quick recap of all the action-packed events for the month of November. The CITIC event in China was held in two cities this year, Beijing and Nanjing. Our founder, Matej Michalko, traveled to Nanjing where he presented blockchain-based solutions to the province of Jiangsu. Up north, Michal Geci and James Xu led our BD team in Beijing for some interesting and high-profile meetings, which we hope to announce right here on our blog in the upcoming weeks. While some of our team members were busy in China, our South Korea Country Manager, John Oh, was a panel member at the Bit-Z Global Ecological Alliance in Seoul. 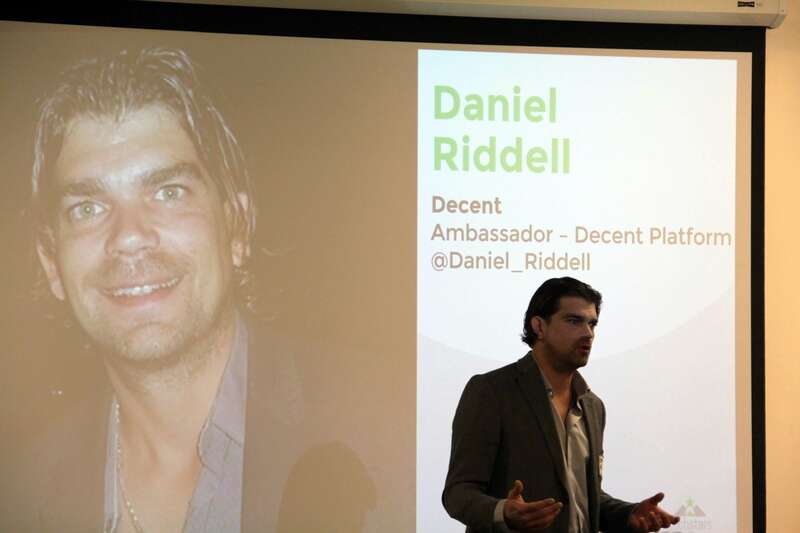 Also, across the world, our ever steady North American ambassador, Daniel Riddell, was highly integrated with the TechStars event held in Boulder, Colorado this month as well (video of his speech linked above).